Zen Rooftop Bar Saigon is a bar and restaurant that really honours its name as it offers a truly relaxing atmosphere. On the tenth floor of the Fusion Suites, you can have some of the best tapas in town in the inside seating area or have a drink overlooking the city from the outside terrace. 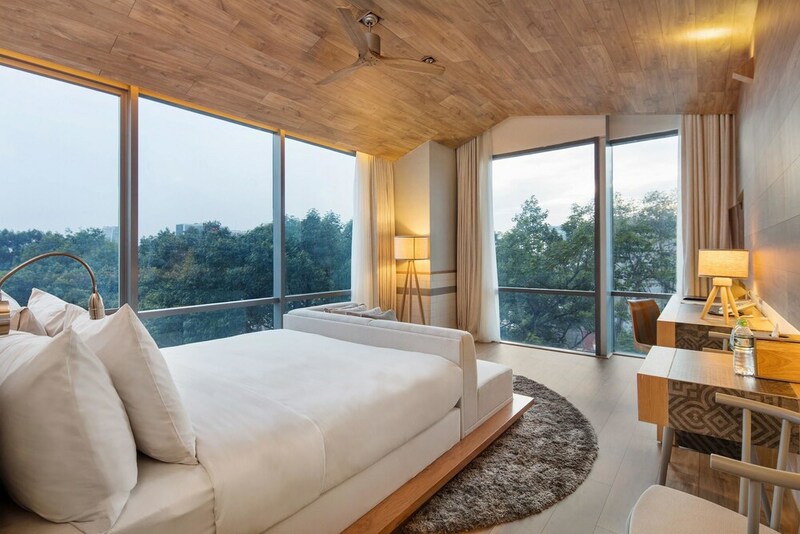 The minimalistic but stylish woodwork interior design complements the ´zen vibe´ and enhances the cosy experience. On the menu you will find Spanish style tapas prepared with an Asian twist, which can be enjoyed with a cocktail or a glass of wine from their sizeable drinks list. The dishes are well presented and affordable, ranging between US$3-5 per dish. Zen Rooftop Bar & Restaurant Saigon likes to stimulate as many of your senses as possible and does a good job on this with the food, music and the view provided to its guests. A cocktail costs VND 150.000 (US$7) and some of their signature choices are the ‘Desert Rain’ which consist of bourbon, cranberry and lychee or the ‘Rose Titanic’ with fresh thyme, rosemary, a touch of lime juice and egg whites. There’s a daily happy hour from 17:00-19:00, during which they offer two signature cocktails for the price of one. This great addition to Saigon’s nightlife scene is a favourite for foodies and expats looking for a relaxing getaway from the busy streets down below. On Fridays from 08:00 till 21:00 they offer live acoustic music shows. The performers are selected from the hotel’s own music project which supports young talent to get a chance in the industry.